The breakfast club. Brgy., Kapitolyo, Pasig. I started shooting with the Summicron again on my way to work this Monday morning. It has been a while since I last used this lens so I plan on shelving the Super wide Heliar for the next few weeks. It feels good to shoot at 35mm focal length again. Filed under Street Photography. Tagged as #ihateMondays, 35mm, Black and white, Brgy. 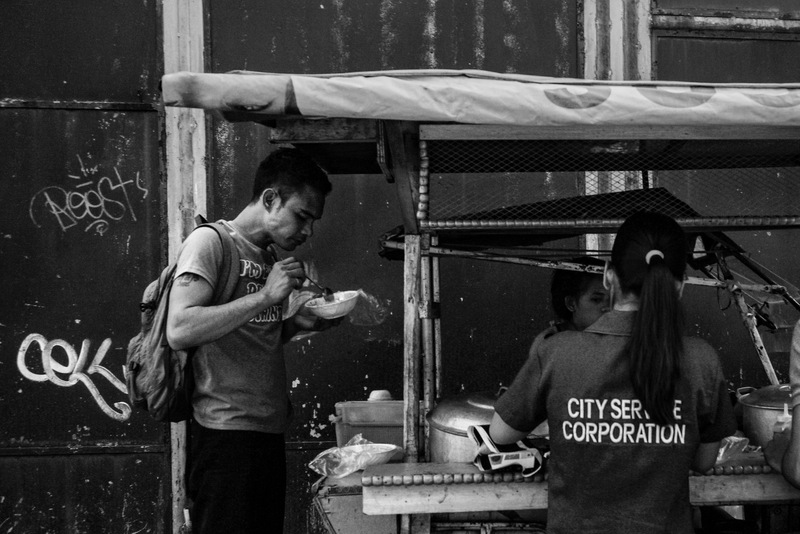 Kapitolyo, Leica, Manila, Pasig, Sony A7SII, Street Photography, Streets of Manila, Summicron.